Anna Karenina is a novel that, to my mind, admits of no comparison, and the recent feature film could not boast of being nearly as impactful or masterful as its source material. In this review, I’d like to talk a little about both the book and the movie, which premiered in 2012 and features Keira Knightley, Jude Law, and Domhnall Gleeson (among others). To proceed justly, I’ll start with the novel, written by Tolstoy and published in 1877. In my previous review of War and Peace, I reflected on the tendency of literary masterpieces to appear intimidating and even unapproachable when viewed from a distance. And yet War and Peace is a spellbinding and engrossing work which could hardly be called inaccessible if length is not considered an impediment. Anna Karenina is also deserving of all its renown, and is also very accessible. However, it differs greatly from War and Peace. While the latter is more epic in style with its historical sweep over the Napoleonic wars, Anna Karenina is a novel focused primarily on relationships and individuals; on love. I recently read a non-fiction book called “The Most Human Human,” which, (as you have probably noticed by now), is the subject of this review. If you have read even a few of my previous posts, most likely you won’t be surprised that this title alone sparked my interest. What does it mean to be the most human human? Isn’t being human enough to make me human (at least as human as that other human passing on the street)? The essential qualities or capacities that underlie our shared humanity and give us common ground with one another is a topic that I find endlessly fascinating and pressingly important. It is also something I have touched on a lot in my writing (see for example Becoming Human, Dignity and Dependence, and the entire Person to Person series). An attentive reader might say I am thoughtfully exploring these issues (and a less generous estimation might use the word “obsessed”). So while there is no denying the value of War and Peace, or its place among the esteemed works of fiction, maybe it is more something to be feared than enjoyed. Admired from afar but not actually attempted, not when the idea of reading it is so daunting a prospect. War and Peace is certainly a gargantuan novel: in my edition, it surpasses 1200 pages (this edition is, by the way, the much-lauded translation by Pevear and Volokhonsky, the dynamic duo who have also translated works by Russian authors Dostoevsky and Chekhov). Is War and Peace really a monster? Jean Vanier’s book, Becoming Human, emerged from the CBC Massey lectures that he delivered in 1998. As such, Vanier’s writing has a very conversational tone: it is easy to imagine he is speaking right to you, person to person. This stems from the original oral form of “Becoming Human,” but also, I think, from Vanier’s particular style of writing and of sharing deep truths in a clear and compassionate voice. Jean Vanier is the founder of l’Arche, which began when Vanier opened his home (in 1964) to men with intellectual disabilities. Now there are l’Arche communities found worldwide, all committed to providing a home for the disabled where they can experience love, growth and meaningful communion with others. In “Becoming Human,” he relates numerous personal experiences he has had with residents of l’Arche communities, often individuals who came from very rough or unloving backgrounds and seemed themselves unlovable. Yet with love and support these individuals grew; indeed, they blossomed with love, finding the freedom to openly express their true selves. A Tale of Two Cities is the third Dickens novel I have read (after Oliver Twist and Great Expectations). The “bookends” of the novel are two of the most iconic lines in English literature: the lengthy opening sentence about the best and worst of times, and the final words that prophecy “a far better rest.” Yet these were pretty much the extent of my knowledge, and seeing as they were merely decontextualized quotes- famous lines to spout in a suitable situation- they did not tell me much. Perhaps there is a fair number of people for whom A Tale of Two Cities was assigned reading in high school. For me, this was not the case; part of me wishes that it was, but then again, it’s very possible I would not have been able to adequately appreciate this great work at that time. Either way, I don’t think that this novel (or any Dickens’ novel) can be exhausted on a single reading. As with all Dickensian creations, A Tale of Two Cities is a feat of storytelling. Dicken’s voice is so unique- so lively and delightful (if I may call it that), such that it is always a joy to delve into his world. What could possibly be bad about entertainment? How could something which amuses and provides us with pleasure have harmful implications? These are questions you might very well be asking after seeing the title of the book this review is about: “Amusing Ourselves to Death.” Here, amusement, which is seen as something light and unserious, is connected with the darkest and most serious inevitability ingrained into the experience of life: death. This polemical book, written by Neil Postman, is a warning against the dangers that come along with the Age of Entertainment. Postman is writing these cautions in 1984, and since then, I would say, we have only slid further down the slippery slope he envisioned. 1984 found our Western culture on the very edge of something new, something which would and does, in many ways, define our social landscape: the computer, and the digital technologies and social media platforms that have sprung from this invention. Although Postman doesn’t give much attention to the computer, focusing instead on the effects of television, his insights are still infinitely relevant in our current age. Indeed, the ramifications of television consumption can be extended quite naturally to the new forms of technology that have gained prominence since Postman’s time. “The Return of the Prodigal Son” by Henri J.M. Nouwen is a short and beautiful book, a clear and profound exploration of a story that has become to so many of us familiar and perhaps even weary, perhaps even emptied of meaning. 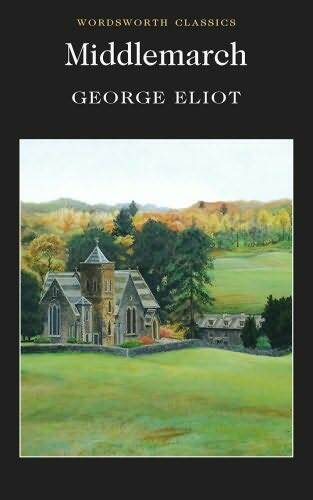 Middlemarch, by George Eliot, is considered by many to be the greatest English novel ever written, and I can’t say I take issue with this sweeping statement. It is a masterful work, but this high praise, these assertions of greatness, do not need to be something that scares us away from reading a book like Middlemarch. Great novels such as this, especially when they are removed from us by past, may seem more difficult or like they require too much effort. However, they are not inaccessible; in fact, Middlemarch is very enjoyable to read, and the efforts that are put into reading and appreciating the book will be richly rewarded. At the centre of Middlemarch are the issues of progress and change. 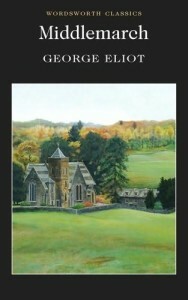 Middlemarch itself is a provincial town in England, and the book is set just before the first Reform Bill, which passed in 1832. Along with the Reform Bill came many changes in the law and in the way that things were done and understood, but in the novel the possibility of such changes is regarded with suspicion by many of the townspeople. Yet Middlemarch, the novel, is not merely focused on the political tension preceding change, but on relationships, on love and on marriage.